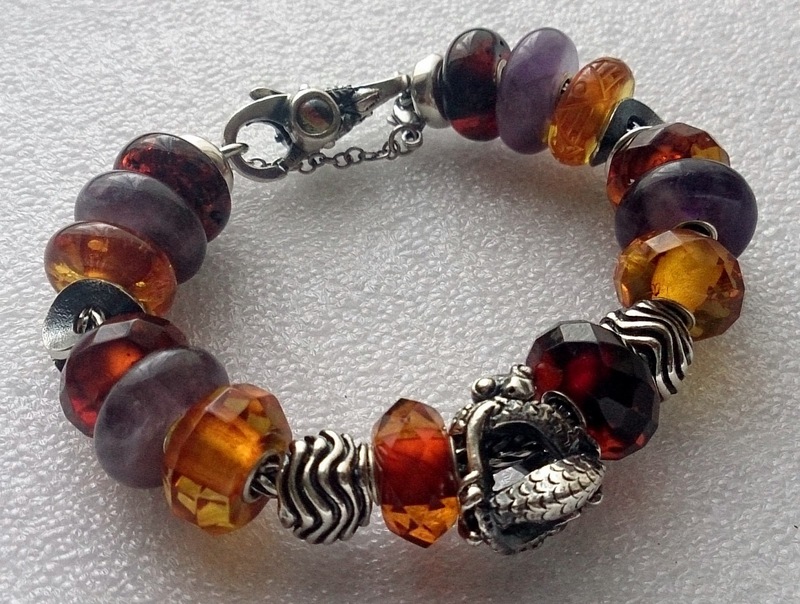 I thought I'd show you my Amber and Amethyst Summer Stones Bracelet today. I loved the Trollbeads Limited Edition Summer Stones Collection when it was released last May and it consumed most of my bead fund for a Trollbead Meet (and some)! Whilst the photo below shows the final tally of what I picked up all together last year - I *always* intended to pick up some more when I had the funds, if there were any left of course! You can still find some of the other stones around, however the amethysts tended to disappear fairly swiftly as they were very popular at the time. I was really pleased to stumble across a 4th amethyst preloved from another collector up for sale. I immediately wanted to use all four together and decided to pair them with a variety of amber beads and some silvers to make a new bracelet. A friend has pointed out how awesome a nice faceted amethyst would look here as a focal... I don't have one yet (although I've been looking for the right one for a very long time), so I'm just going to push that up the To Do List a little higher! Now should that come before or after my Boiler Replacements??? Lovely mix of ambers and amethysts :) Every time I see an amber bracelet like yours I really wonder why I never continued collecting ambers. The waves beads really complement the faceted ambers as well. 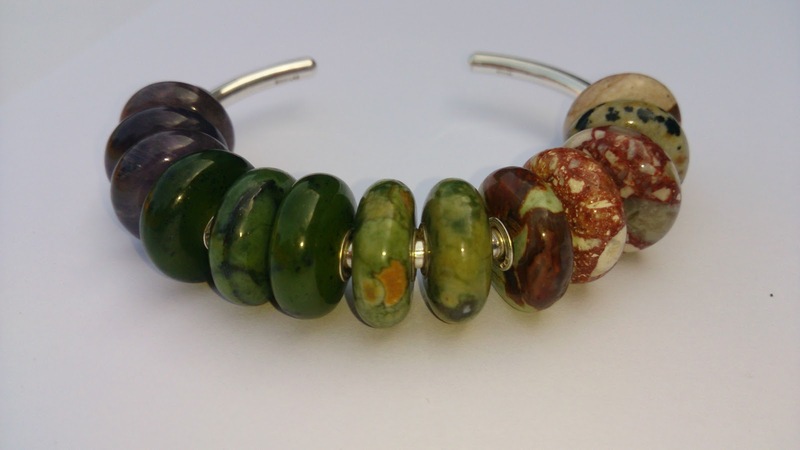 Thanks Tracy, I really love this bracelet, contains 2 of my favourite types of stones and as my multiples of endless and waves turned up I've finally had a chance to use the first of the multiple silvers. I think the Summer Stones are worth every penny if you find them, there was a sale on the other day and the Summer Stones were snapped up, I was glad to find another amethyst but there are definitely stones around if you hunt them out! How did you get on with fixing your broken amber the other day? Any luck? Bali Clicks - My New Bracelet!